David Boas is the Director of the Boston University Neurophotonics Center, and is a Professor of Biomedical Engineering. He received his BS in Physics at Rensselear Polytechnic Institute and PhD in Physics at the University of Pennsylvania. 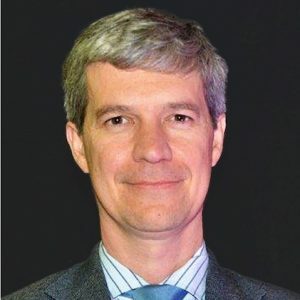 He is the founding President of the Society for Functional Near Infrared Spectroscopy and founding Editor-in-Chief of the journal Neurophotonics published by SPIE. Dr. Boas was awarded the Britton Chance Award in Biomedical Optics in 2016 for his development of several novel, high-impact biomedical optical technologies in the neurosciences, as well as following through with impactful application studies, and fostering the widespread adoption of these technologies (see the video). 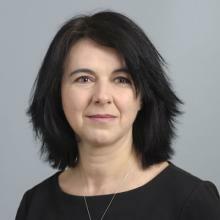 Maria’s research activity focuses broadly on the development of non-invasive optical techniques and application in the neurosciences, neurology, and brain health. Near-infrared spectroscopy (NIRS) uses light in the visible and near-infrared spectral regions (wavelength range: 650-950 nm) to quantify absolute or relative changes in hemoglobin concentration in biological tissues. She began working with NIRS in the early 1990s, when the field was just emerging, and has contributed to the development of instruments now commercially available and widely used. As a pioneer in the field, she has made substantial contributions to the modeling and testing of the diffusion theory to describe light propagation in turbid media. As an experimentalist interested in biomedical applications, she has tested the technique for several medical applications, including detection of breast cancer, assessment of peripheral vascular disease, non-invasive blood glucose monitoring, brain oxygenation monitoring, brain functional activity, and neurovascular coupling investigation. Since early 2000, she has devoted part of my time to the development of a sophisticated near-infrared spectroscopy device (FDNIRS-DCS) that can determine brain health in infants at the bedside by quantifying regional hemoglobin oxygenation, cerebral blood volume, cerebral blood flow, and oxygen consumption in the neonates brain. Such a device shows potential for detecting brain tissue compromise before the development of irreversible structural damage, thus allowing timely and specific intervention. She has collected data from 500+ infants and demonstrated this systems ability to follow normal brain development and detect brain damage. In collaboration with medical doctors, she is now studying the effect of therapies such as controlled hypothermia on cerebral metabolism to establish NIRS as a potential tool to guide and optimize individual care, and, in collaboration with ISS Inc., has developed a commercial version of the FDNIRS-DCS device. At the same time, in the past 20 years she has developed fNIRS technology for functional brain studies and to investigate neurovascular coupling. She has designed and performed a number of multimodal studies using fNIRS in conjunction with fMRI, MEG, and EEG in humans and small animal models. This work has helped to establish NIRS in the field of neuroscience.